For many applications and numerous business processes, there is suitable standard software to map them. In cases where suitable standard software does not yet exist or the functionality of existing products is not sufficient to map important business and production processes, individual solutions are often necessary. We at dotparc have specialized in this area. Upon customer request, we design and develop individual solutions, often as extensions to existing standard software. 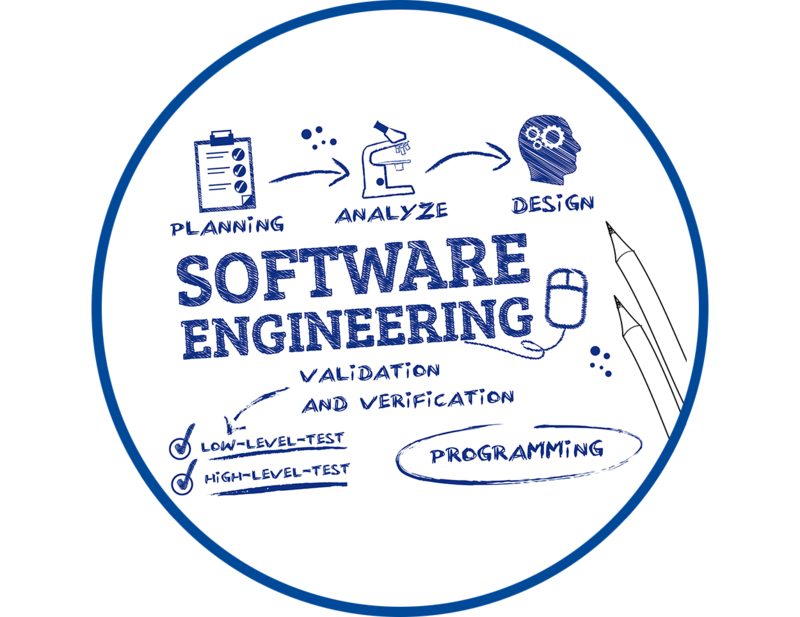 Due to the high effort involved in creating and maintaining complex software, our software developers usually develop customer-specific solutions on the basis of a structured project plan. This process model divides the development process into manageable phases limited in time and content. The software is thus completed step by step, whereby the individual phases are closely interlinked throughout the entire development process. At dotparc, software engineering usually covers the entire process from the identification of the need to the commissioning of a concrete IT solution, in some cases also beyond. It often makes sense to design prototypes and test them extensively before developing a finished production system.